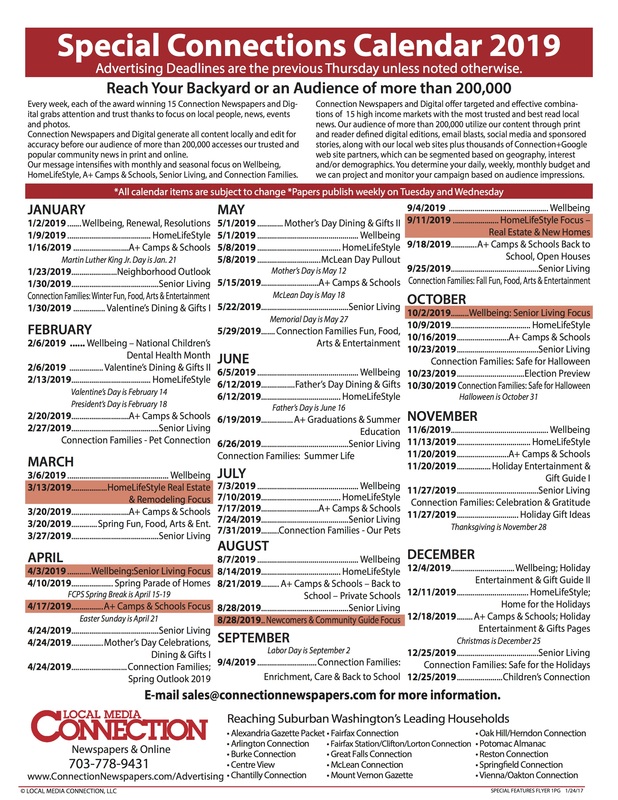 Your advertising campaign appears in any or all of our 15 demographically segmented markets in print, digital editions and on our websites. Our audience totals more than 200,000 readers and viewers living in many of Northern Virginia’s most upscale suburbs as well as in exclusive Potomac, Md. 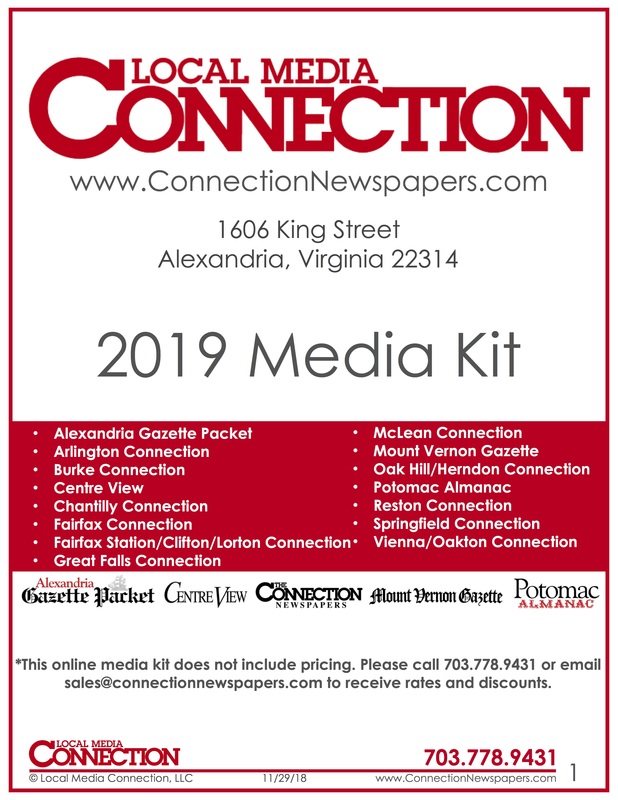 To find out more - including our trade area, reach, readership, display ad sizes and more - please see our media kit contents below. 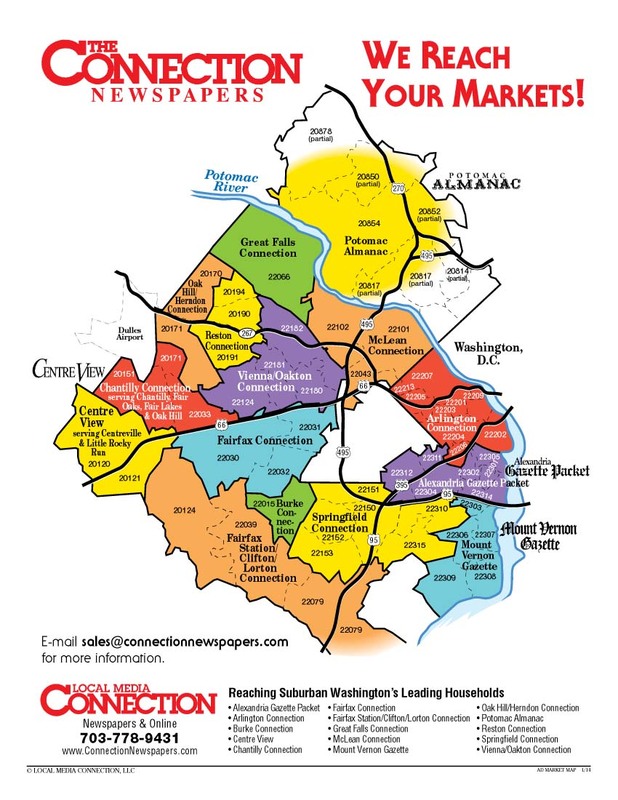 We offer advertising in: Alexandria, Arlington, Burke, Centreville, Chantilly, Fairfax, Fairfax Station, Clifton, Lorton, Great Falls, McLean, Mount Vernon, Oak Hill/Herndon, Reston, Springfield, Vienna/Oakton and Potomac, Maryland. The Connection Newspapers & Online from Local Media Connection on Vimeo.